"Just like our friend, Larry the Lobster, once the old shell is gone and before we construct the new one, we feel vulnerable and unsafe." Why do you want to expand? Humans are programmed to experience more, love bigger and desire to be of service in greater ways. If we don’t participate in our own expansion, it is forced upon us. 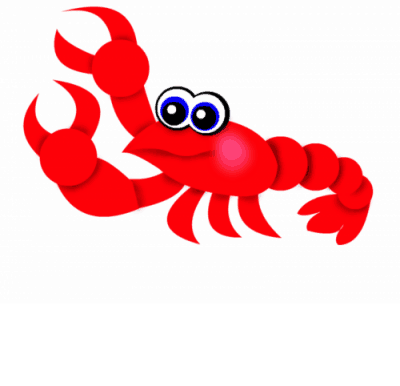 Think of it like the lobster; staying in the same old shell becomes unbearable and we are thrust out into expansion. Just like our friend, Larry the Lobster, once the old shell is gone and before we construct the new one, we feel vulnerable and unsafe. Keeping yourself safe by resisting your expansion won’t prevent you from suffering…instead, it is guaranteed to create it. And, as with anything in life, there are easy steps we can take to support our growth. Closing the gap of separation between you and the Divine is an ongoing process. This means that experiences you believe have “healed” may, and probably will, come up again. So often, clients judge themselves when a painful episode in their past arises and has to be addressed again. Let it go! Dealing with an experience again doesn’t mean that you failed. It means that this is a new opportunity for you to bring more love and Divinity into your inner universe. Yes, I can see how being present might be perceived as spiritual buzz words and a cliché. And it is! Clichés are clichés because humans need to be reminded again and again. When you are present, you become the master of your Universe. Being in the present moment allows you to make choices based on love and not your past or pain. In present time, every decision becomes one of infinite possibility and goodness rather than one based on an experience when you were five. Stop trying to heal yourself. Stop judging yourself and your ego. Stop trying to transform yourself and start with the deep acceptance that you are loved and supported. If you were in a relationship with someone who was trying to change everything about you, how would you feel about that person? Yes, you want to experience more abundance, joy and love in your life. It’s time to stop trying to figure out how to heal yourself so you can do that, and accept that you already are abundance, joy and love. You don’t have to back yourself into a corner or berate yourself in order to expand. When we choose to be deeply kind to ourselves and use the wisdom of our Soul, life easily flows into greatness. Jennifer Urezzio is the founder of Soul Language and a master intuitive who uses her divine gifts to help raise consciousness. Soul Language is a paradigm to put tangibility to Soul. Jennifer is the author of two books: Soul Language: Consciously Connecting To Your Soul for Success and A Little Book of Prayers (both available on Amazon). You can learn more about Jennifer and Soul Language here.